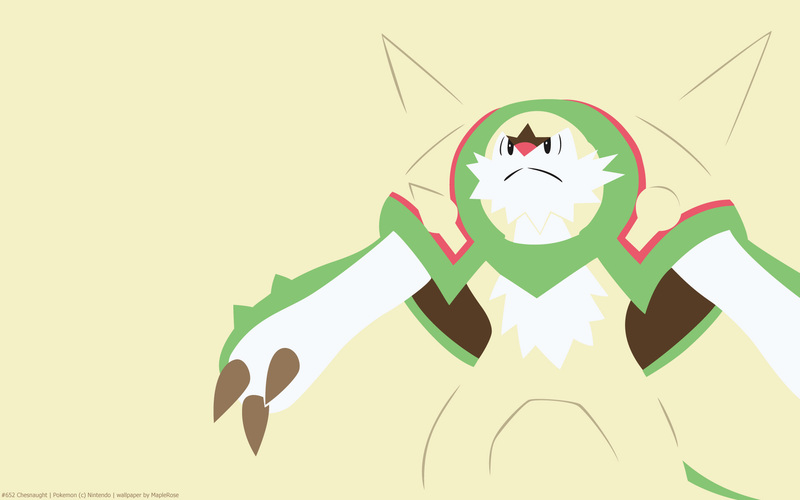 Chesnaught is the fully evolved Grass starter of gen 6. Its typing of Grass/Fighting is shared only with Virizion and Breloom. Its Pokedex entry alludes to the fact that it gets Bulletproof as its hidden ability. Bulletproof makes it immune to ball and bomb moves. 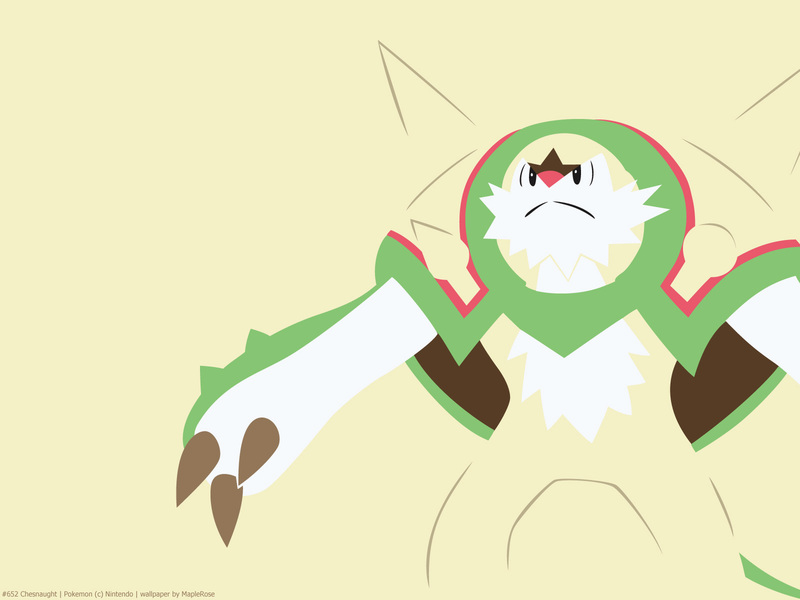 Chesnaught is also really defensive stat-wise, having 122 base Defense. Aside from its defense, it has pretty good Attack, but is rather slow. It used to have an exclusive move, Spiky Shield, which has the effects of Protect, plus the attacker suffers 1/8 HP damage if it used a contact move. However, as of ORAS, Spiky Shield has been given to other Pokemon. 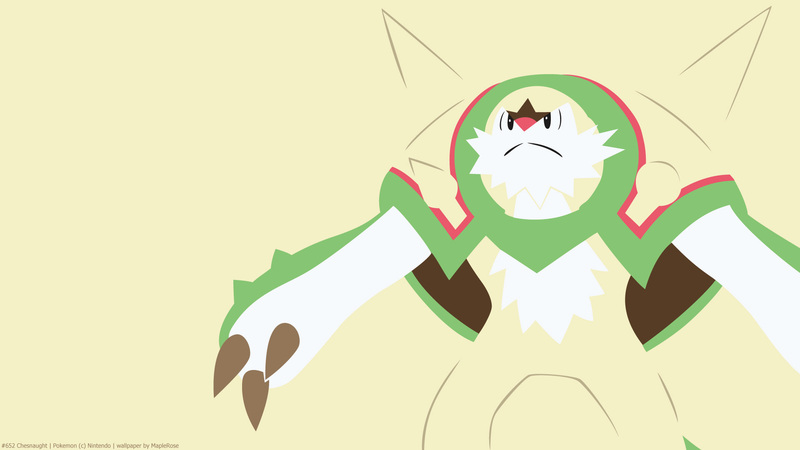 Interestingly, I think Chesnaught’s shiny colours match more to its pre-evolutions; the normal colours feel too light.